The teeny towns you blow through on a Texas road trip are too often just relegated to a bathroom break and a caffeinated beverage. A pit stop alone doesn't give you the chance to experience the hospitality of that 100-year-old B&B or have a cold one with the locals. Here are eight of our favorite small Texas towns to add to your checklist of destinations. 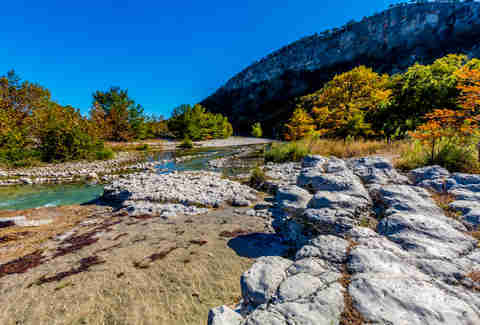 Sometimes referred to as the Swiss Alps of Texas, Leakey has some major elevations (for Texas, anyway), with deep canyons cut by both the Frio and Nueces Rivers. Nature lovers, here’s your paradise: fishing, boating, bird and wildlife watching, camping, cycling, swimming, and tubing. You’re less than 20 minutes away from Garner State Park and Lost Maples, both huge expanses of scenic acreage, campgrounds, and hiking trails. Remember Hope Floats? Justin Matisse may have been fictional, but there really is a Smithville Jamboree. Visit year-round and indulge in some local favorites: Honey’s Pizza (opened by Amy of Amy’s Ice Cream), the Jack Daniels Chocolate Cream Pie at Back Door Cafe, and boozy tastings at Bone Spirits. Stay awhile with the lovely folks at The Katy House and have a dinner by donation only at Comfort Cafe, a cafe catering to sustainable recovery for addicts. Salado’s motto is “Creative. Community. Culture.” It’s just as enchanting as it sounds. Stop in for a cuppa at the Strawberry Patch, browse curated antiques and art at 1860 Shop, and pick up gourmet sundries at Salado Mercantile. Splash in the Salado Creek that meanders through town, enjoy craft beer at Chupacabra, a glass of wine at Salado Winery, or a down-home dinner at The Shed, and then just walk over to your room at Inn on the Creek. Alpine is all frontier spirit and sensitive soul. Want proof? It hosts an annual Cowboy Poetry Gathering. With West Texas vistas, the Davis and Glass mountain ranges, and Big Bend Park an hour away, every route is the scenic route. 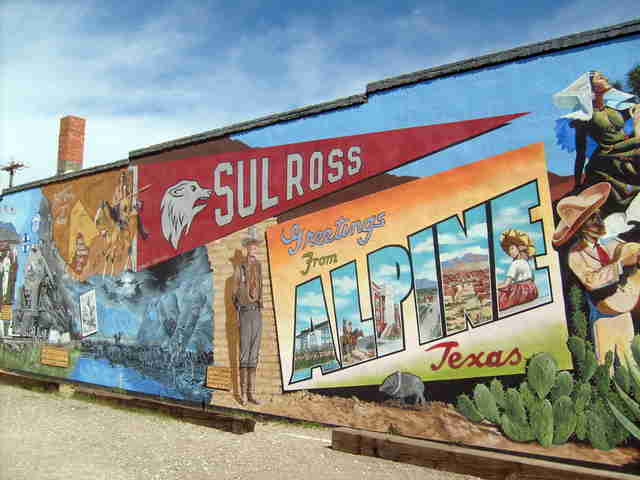 Downtown Alpine boasts giant murals on practically every building, lovely local boutiques, and art galleries. Grab a raspa from Murphy’s or a brew at Railroad Blues on a hot day, or try some Texas cuisine at Reata or the Saddle Club. Whether you're religious or not, it’s worth the trip just to see the painted churches. Built by German and Czech immigrants, they look like any American country church… from the outside. The inside of these churches are painted Sistine-chapel style with vibrant, elaborate murals. Work up an appetite during your tour and get some farm-to-table grub from The Garden Co., or Sengelmann Hall for home cooking and live tunes. If you love to shop, you’re going to love Canton. 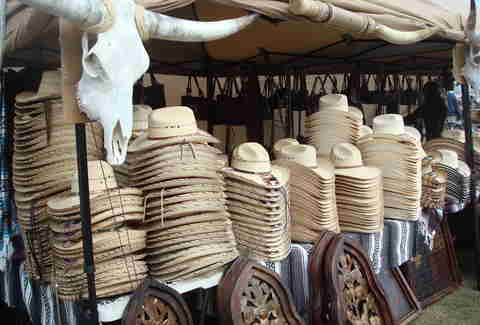 It's home to one of the largest “flea markets” in the United States. The weekend before the first Monday of every month, artisans and craftsmen sell jewelry, furniture, art, homemade goods, antiques, and collectables. Fuel up at Buttermilk’s or the Bunker, or celebrate your finds at the Savannah Winery & Bistro. 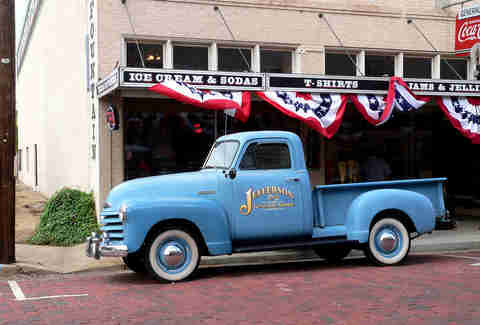 Known as the bed and breakfast capital of east Texas, Jefferson is home to Caddo Lake, a wild maze of 26,800 acres of interconnected waterways, Scenic and nature tours are the ticket here; take a swamp boat through the bayou. Grab a bite at Kitt’s Kornbread Sandwich and Pie Bar or Auntie Skinner’s Riverboat Club. Those with romantic notions may opt for horse-drawn carriage rides, ghost tours, and strolling antique shops like River City Mercantile. Mark our words, here’s the next big spot, folks. 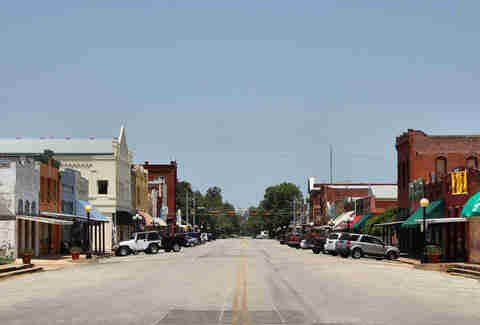 Louie Mueller Barbecue, Texas Beer Company, Taylor Station Bar, Curb Side Coffee House, and Lucky Duck Cafe are some of the newer locales in Taylor. For a bit of the ol’ history, stroll Main st and take in a movie at the Howard Theatre (only $8!). 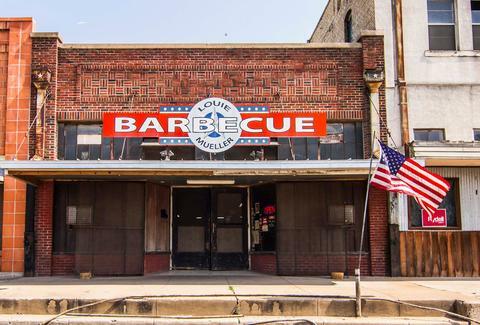 For a bit of the ol’ Texas spirit, grab a burger and a $2 beer at Circleville Store, a hardware store/restaurant/bar.